I made this cookie again because Zoe said I must try the original recipe with caster sugar and sprinkle of salt then I would know why these cookies are causing riot if they are running out in the bakery. Sweetness doesn’t seem necessary sweet when a pinch of salt is included. It actually balances things out. I’m glad I have tried the original recipe. 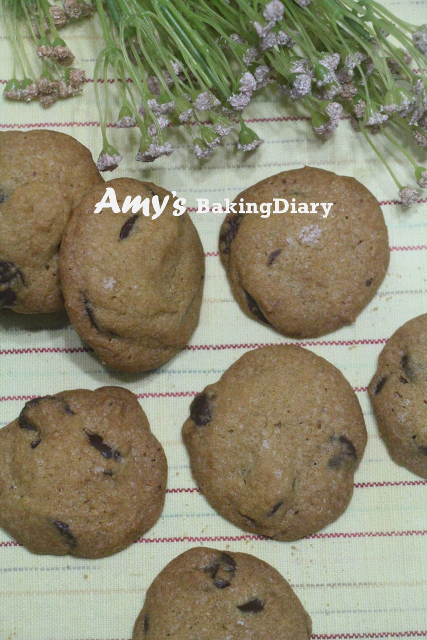 This is so far the best chocolate chip cookies I have ever baked – crispy on the edges; soft and chewy on the inside. 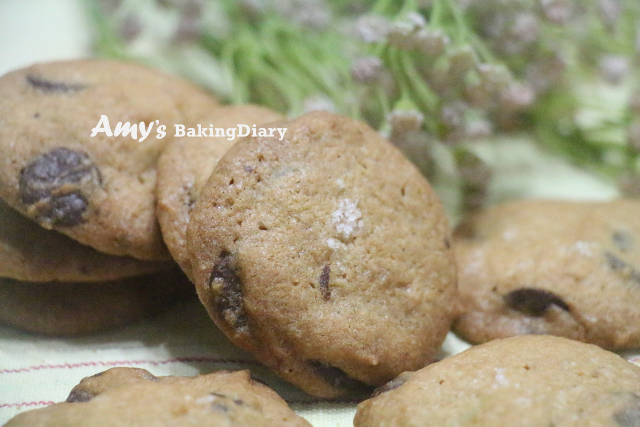 With the pinch of salt, the flavor of this cookie is like no other chocolate chip cookie I have tasted before. 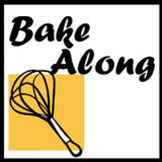 You can find the recipe I baked without Fleur De Sel here. Ermmmm.... Joyce, I used normal sea salt and I actually didn't make an effort to find out what is the difference between fleur de sel and sea salt. Do you have difficulty getting normal sea salt? Yay that you tried the original recipe! Nice right! 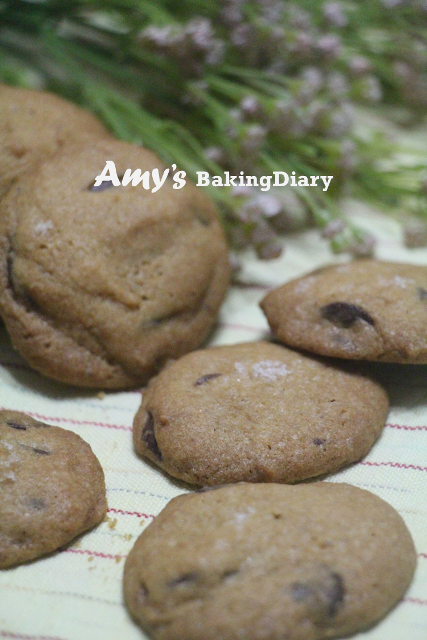 Of course, we are not baking these cookies everyday so it is ok to go full-on with this recipe... Ha ha me and my excuses!!! LOL! You are right that fleur de sel is also salt but fleur de sel is a lot more moister than sea salt which is rock hard. 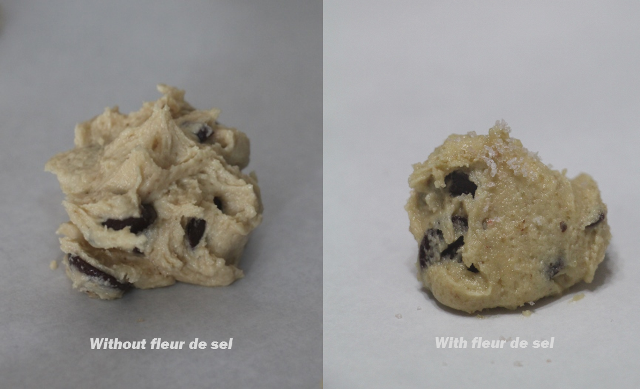 Fleur de sel is flaky and fluffy in their texture... Very beautiful! 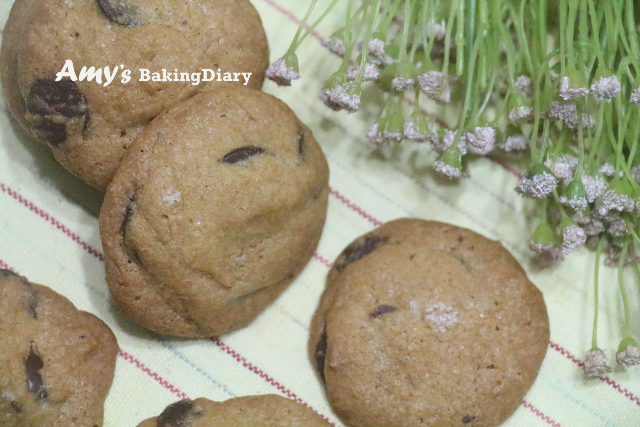 But don't purposely bake these cookies with fleur de sel... LOL! Very nice Amy for you to bake it again the 2nd time. I used normal sea salt only. oh, i didnt realise tat you did it again..wow..you are really very determined to try out with salt . I didnt reduce the sugar much, maybe just 20gm and i find that it isnt really sweet. Happy weekend to you!